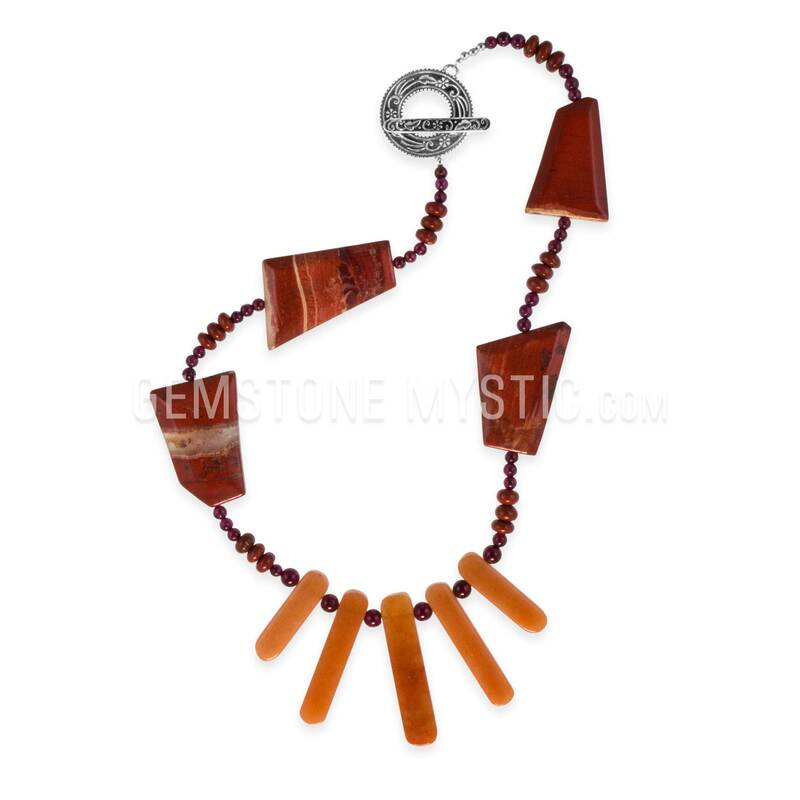 The Embraced By Love necklace carries the properties of Carnelian, Garnet, and Jasper helps to open you to recognize, receive experience the abundance of love in your life. 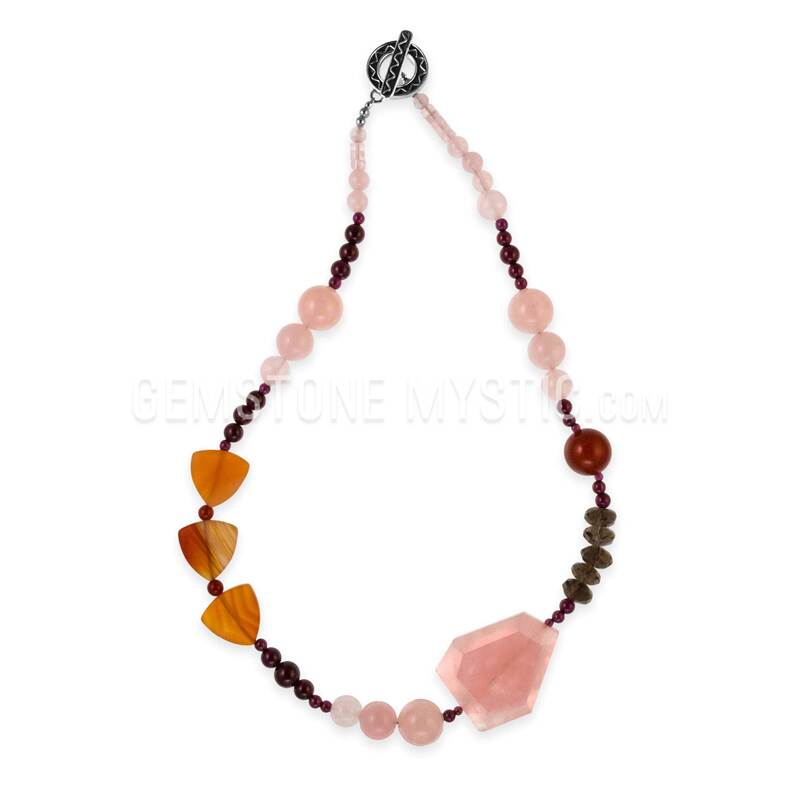 It expands consciousness, attracts loving relationships, brings strength and courage, increases perception and helps manifest one’s soul expression. It also brings with it a joy, passion and verve that celebrate confidence, wisdom and visions come true. 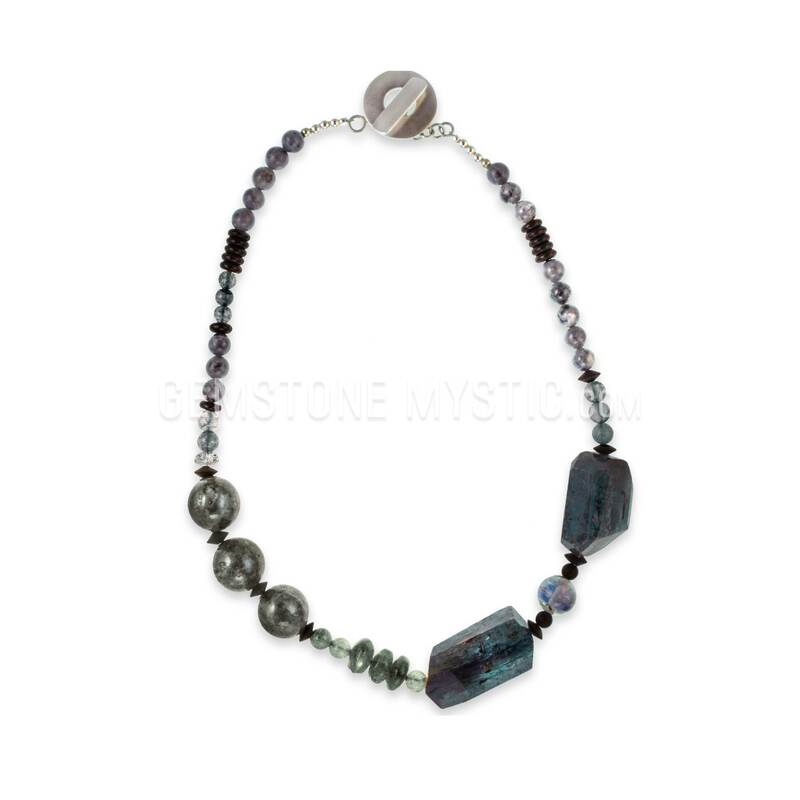 Then this necklace and each gem is vibrationally aligned and attuned to a rich vibration to carry an embracing energy that combines love, connection, peace and harmony with Unconditional and Universal Love. It surrounds you with the powers of love in all areas of your life. 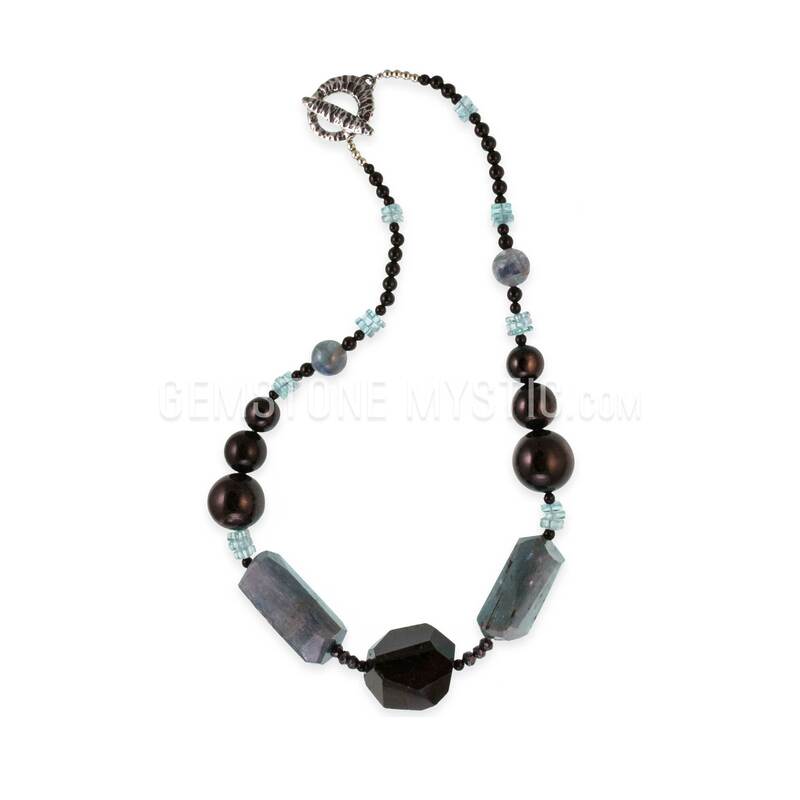 Love, Love, Love necklaces bring the energies and fullness of love, open your heart and mind to more, increase your own joy and understanding, provide more true self-love to help you embrace your soul.